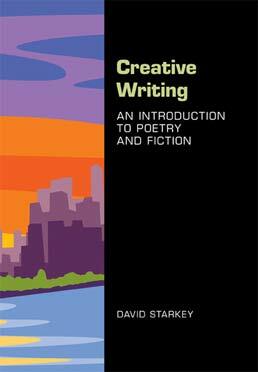 Providing an introduction to the basics of reading and writing poetry and fiction, the collection of contemporary poetry and fiction in Creative Writing: An Introduction to Poetry and Fiction gives you examples which motivate your own writing. A range of checklists included throughout help you craft your own poems and stories, and inventive assignments will spark your imagination and creativity in your own work. Gail White, "My Personal Recollections of Not Being Asked to the Prom"
Elizabeth Alexander, "House Party Sonnet:‘66"
Agha Shahid Ali, "Postcard from Kashmir"
Todd Boss, "The World Is in Pencil"
Lorna Dee Cervantes, "Poem for the Young White Man Who Asked Me How I, an Intelligent, Well-Read Person, Could Believe in the War between Races"
Elaine Equi, "A Quiet Poem"
Vona Groarke, "Why I Am Not a Nature Poet"
Brenda Hillman, "Shadows in Snow"
Major Jackson, "The Giant Swing Ending in a Split"
Allison Joseph, "On Being Told I Don’t Speak like a Black Person"
June Jordan, "Ghazal at Full Moon"
Donald Justice, "Variations for Two Pianos"
Jane Kenyon, "The Blue Bowl"
Yusef Komunyakaa, "A Voice on an Answering Machine"
Ben Lerner, "We Have Assembled"
Naomi Shihab Nye, "I Feel Sorry for Jesus"
Mary Oliver, "Crossing the Swamp"
Deborah Paredez, "Bustillo Drive Grocery"
Molly Peacock, "Instead of Her Own"
Patricia Smith, "Listening at the Door"
Gary Snyder, "I Went into the Maverick Bar"
Gary Soto, "What Is Your Major? James Tate, "Teaching the Ape to Write Poems"
Gloria Vando, "new shoes and an old flame"
Tussaud Wax Museum, Niagara Falls, Ontario, 1987"
Matthew Zapruder, "Automated Regret Machine"
Isaac Babel, "Crossing the River Zbrucz"
Stephanie Vaughn, "We’re on TV in the Universe"
T.Coraghessan Boyle, "The Hit Man"
Ron Carlson, "A Kind of Flying"
Allegra Goodman, "La Vita Nuova"
Joyce Carol Oates, "Wolf’s Head Lake"
Ron Rash, "Into the Gorge"
John Edgar Wideman, "Rock River"